During the nineteenth century many medieval churches in the diocese of Bergen (Bjørgvin), both from stone and wood, were replaced by new and larger wooden buildings. The Lutheran state church wanted bright, modern churches for a new era. Some medieval churches did survive, and the furnishings of others went to the University Museum of Bergen (see the corresponding entry on this website). 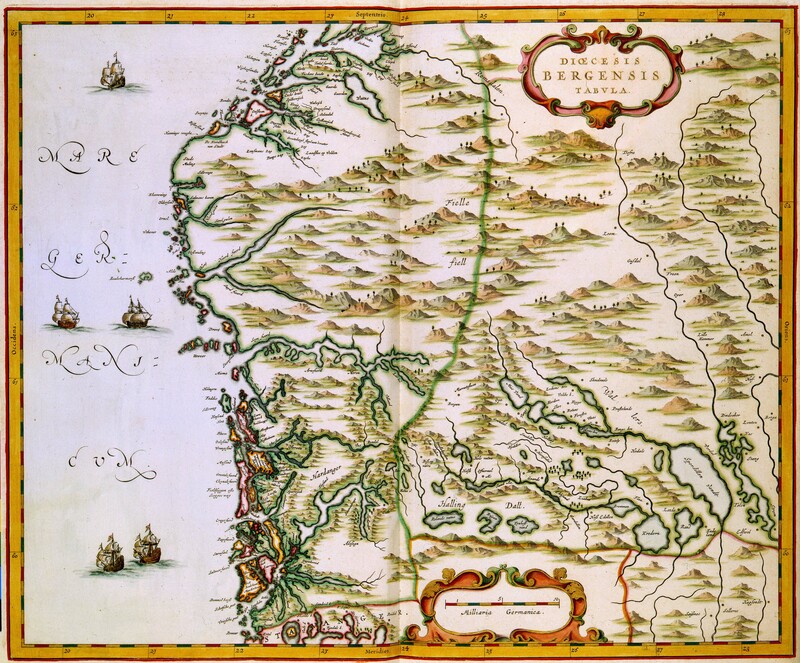 Map of Bergen diocese in Johan Blaeu’s Atlas Maior, 1662. Click to enlarge. Below, a number of suggestions are made for visits to sites in Hordaland county, the countryside of Bergen, where history before and after the Reformation has left important visible traces.